Congratulations to BR Contracting, a start-up business that has enjoyed a recent awards success. Congratulations to BR Contracting, a start-up business in Blackburn that has enjoyed a recent awards success. The firm has scooped one of Lancashire’s most highly regarded business awards, winning the title of New Business of the Year in last month’s BIBAs (Be Inspired Business Awards). BR Contracting began trading in May 2012 and specialises in the installation of insulation and energy efficiency measures, including internal and external solid wall insulation, cavity clearance and filling and draught proofing. The firm’s Sales and Operations Support Manager, Angie Simmons says the team is “absolutely delighted” at the achievement and was proud to collect the trophy at a lavish ceremony at Blackpool’s Tower Ballroom. 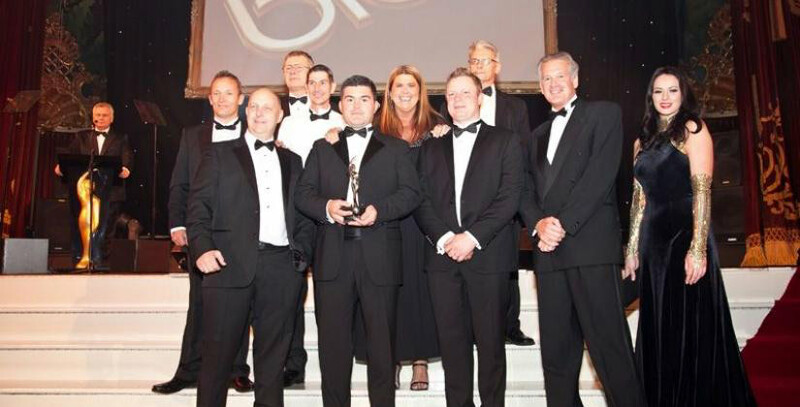 BR Contracting entered the BIBAS because the firm realised it had a success story that could inspire others. The company was founded in January 2012 by its two directors, Matt Ratcliff and Dan Jay, as a progression from sister company BR Testing, which has been running for six years. Angie explains: “We began the application process in May this year and we knew there would be a lot of competition for New Business of the Year, as it covers companies which have launched in the previous three years. “We were shortlisted to 12 and asked to do a presentation for judges and then in the next step we were shortlisted to six and invited for an interview with the same four judges in June. BR Contracting chose its location in Glenfield Park Business Centre as it had outgrown its former office, also in Blackburn, after the significant business growth it had achieved and required a greater amount of office space.